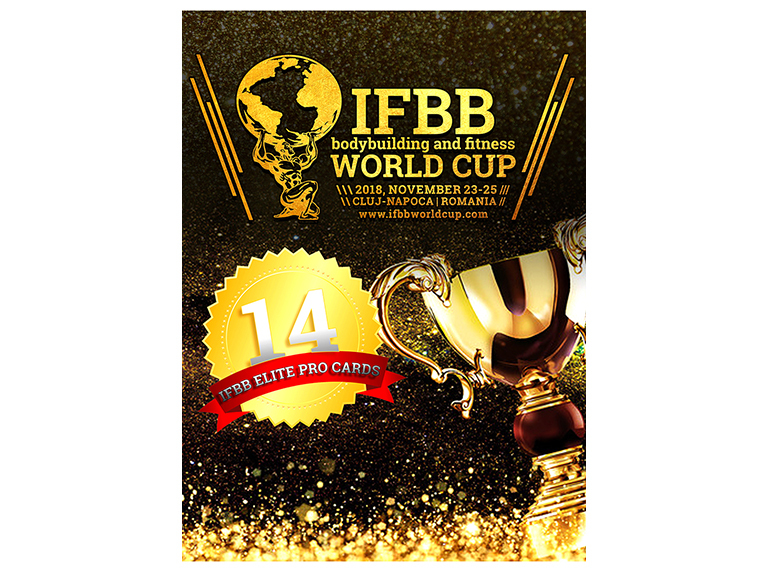 Dr Rafael Santonja IFBB president and Albert Buseck IFBB Vice-president in Europe with the Overall Winner in Games Classic from the Czech Republic. The day started with a beautiful opening, The Parade of Nations, with the 94 Countries around the stage, standing with the Spanish National Anthem. The day will continue with the Pro Show at the Benidorm Palace. 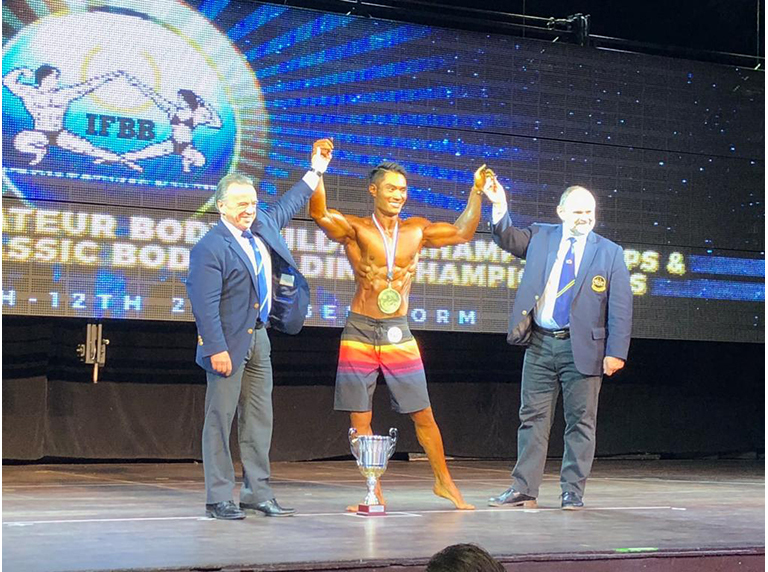 President Dr Rafael Santonja and Mr Pawel Filleborn and Overall Winner in the iFBB World Cup in Men’s Physique from China Liu Maoyi. 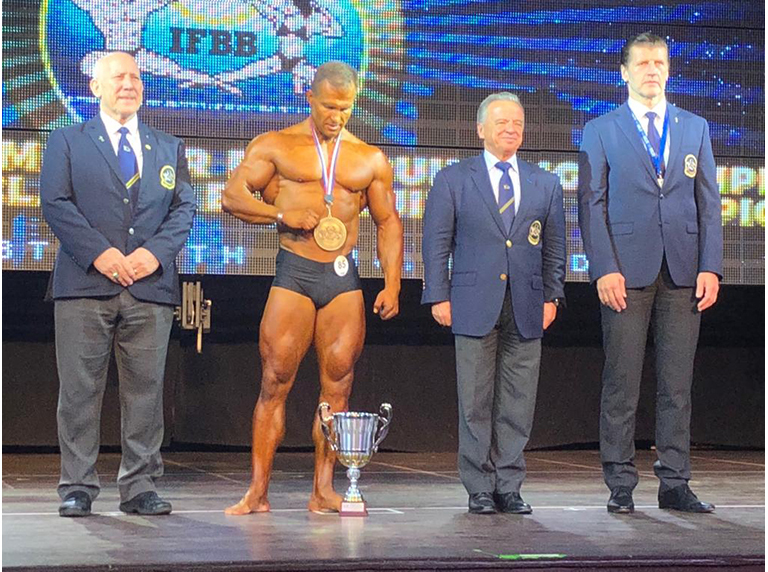 Dr Rafael Santonja president IFBB and Mr William Tierney, General Secretary and the president of the Slovakian Federation Boris Mlsna and Overall Winner in Clasicc Physique from Slovakia Peter Tatarka. 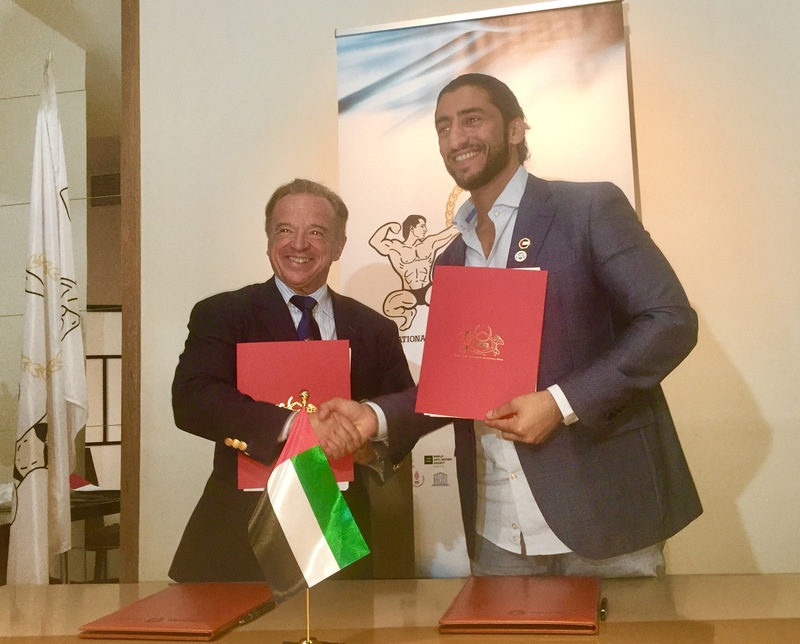 Dr Rafael Santonja president IFBB and Nasser Pouralifard president of Iran federation and Vahid Badpi Overall Winner in Classic Bodybuilding at the IFBB World Championships 2018 in Benidorm. 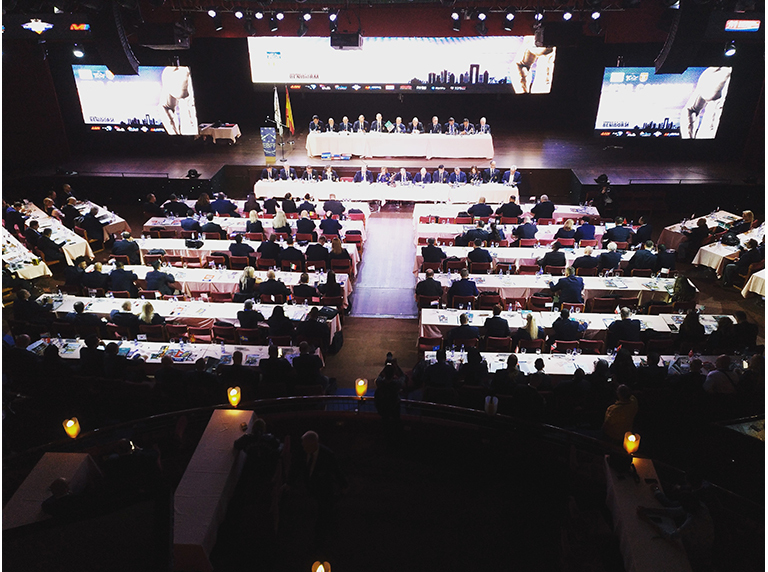 Yesterday took place at the Benidorm Palace the IFBB 2018 Electoral Congress, from 9 am to 2 pm. 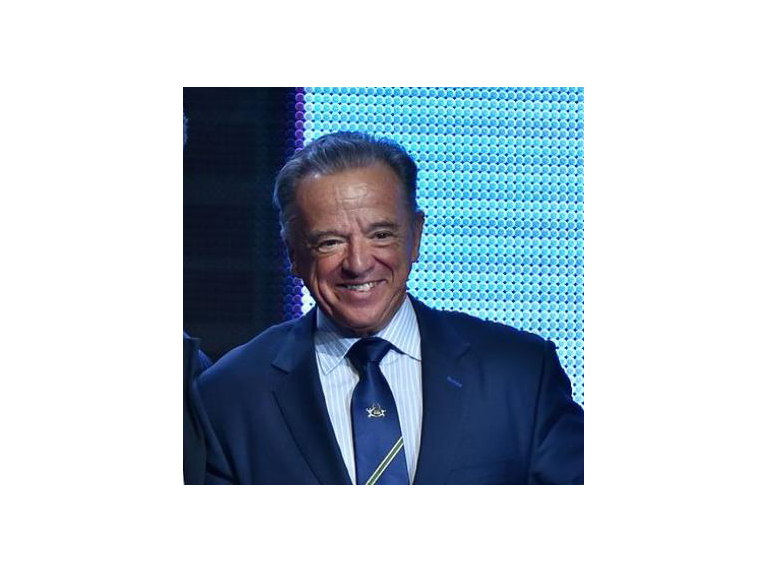 A Congress in which the IFBB had the participation of 94 countries that reelected Rafael Santonja as the President of the IFBB. 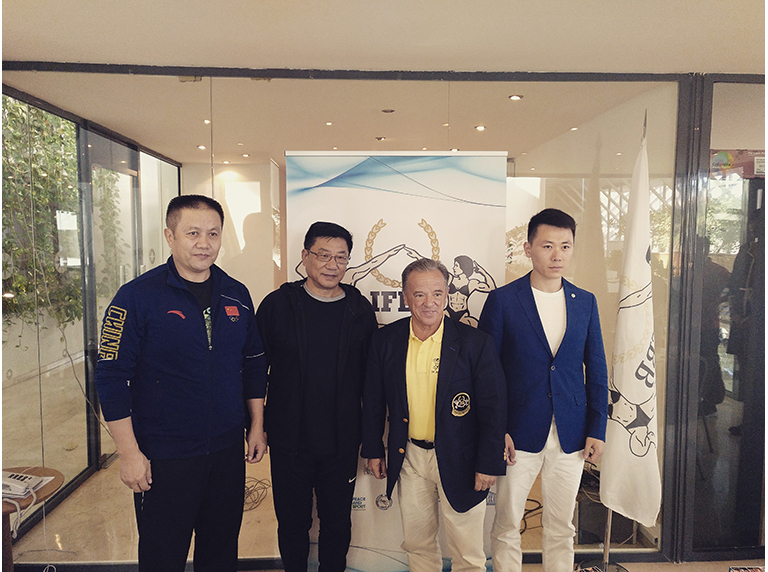 THE CHINESE TEAM IS READY FOR THE WORLD MEN’S CHAMPIONSHIP! 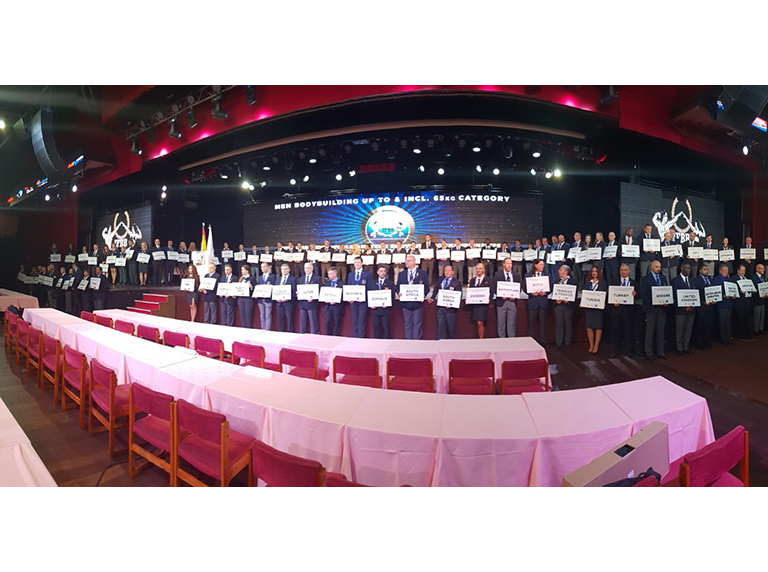 Benidorm still receiving athletes and officials from all around the world for the World Men’s Championship and Congress. 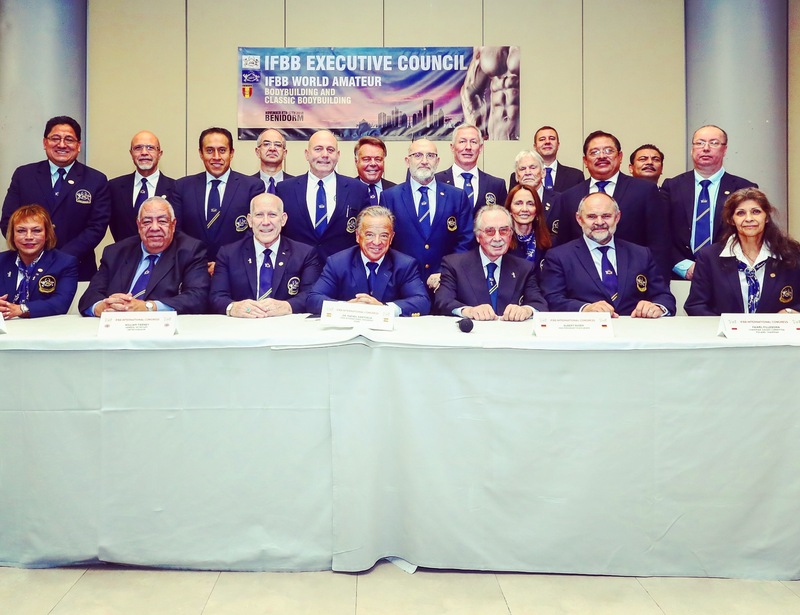 In the picture, Rafael Santonja, IFBB President, receiving the CBBA team.